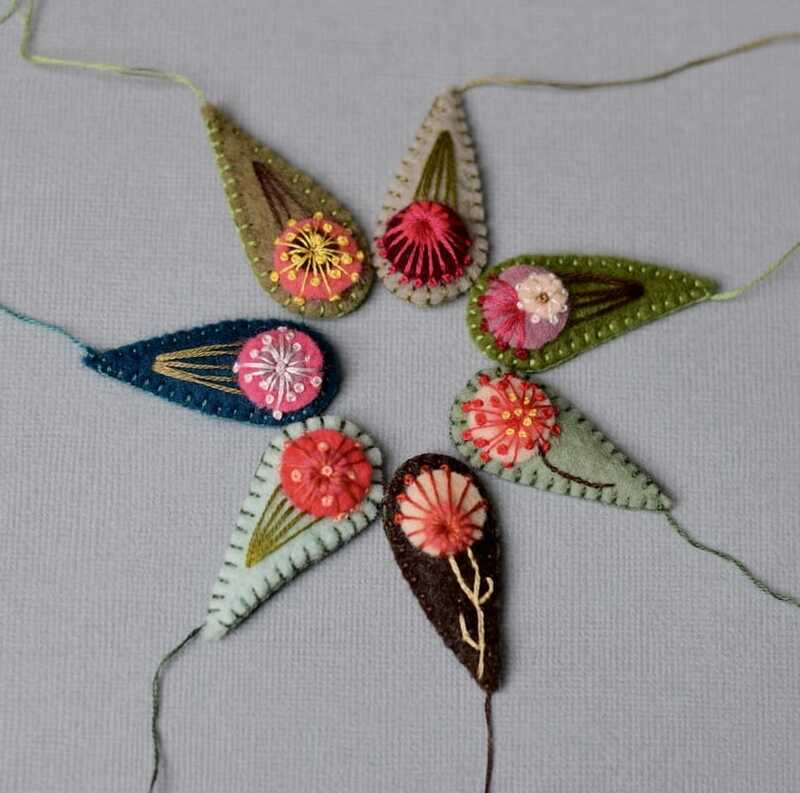 My hand embroidered felt is beginning to branch out into Australian native flora as seen in these eucalyptus needlework examples. 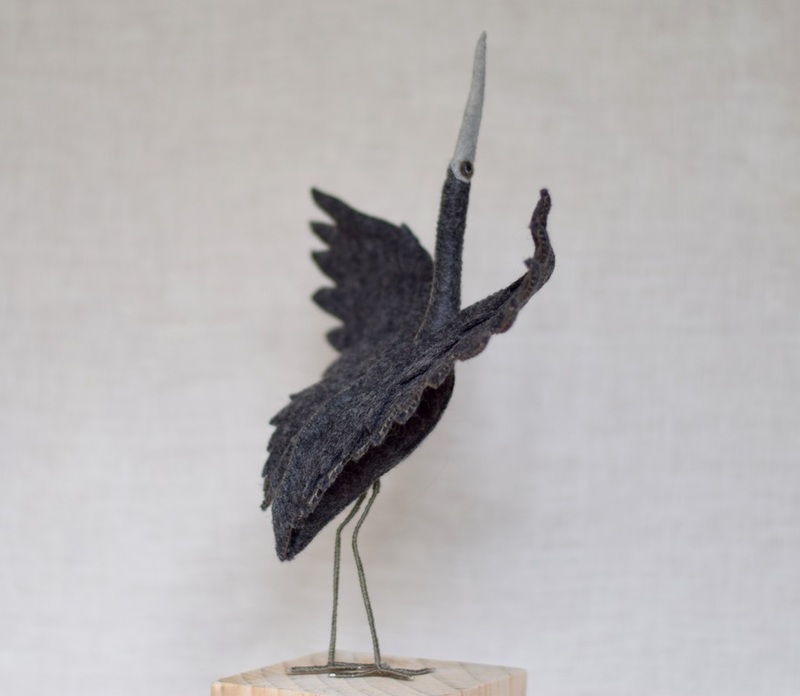 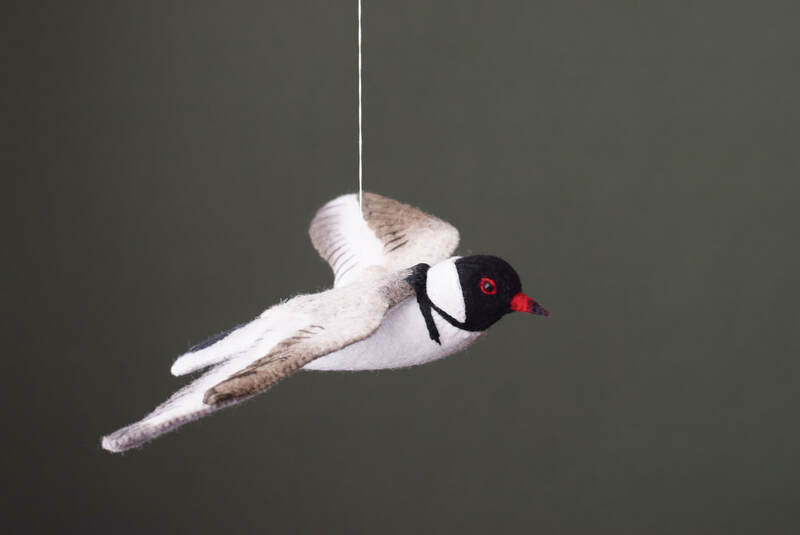 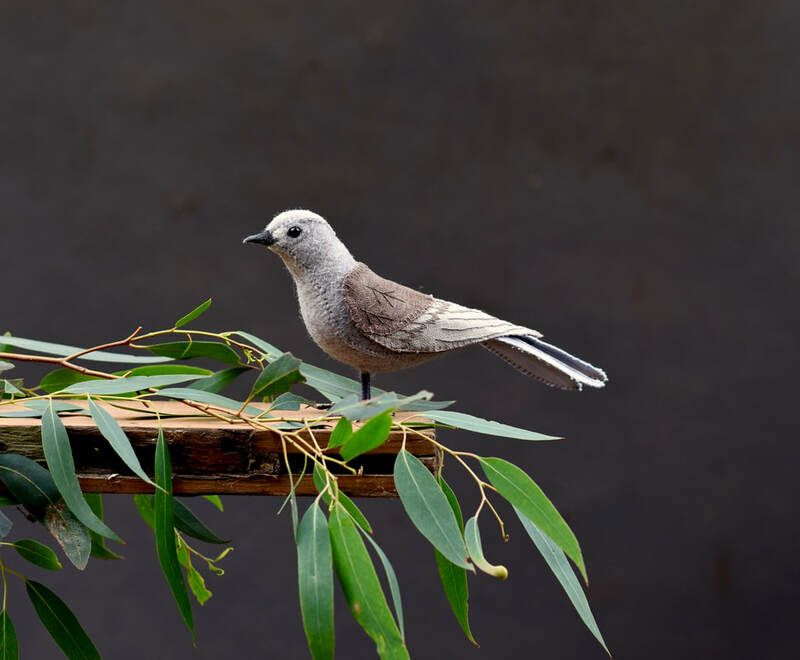 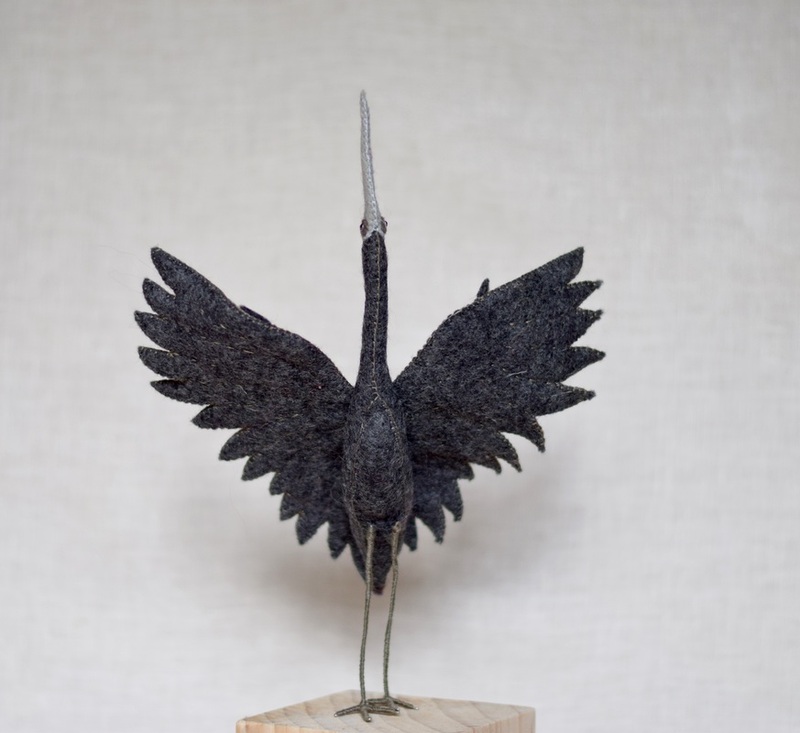 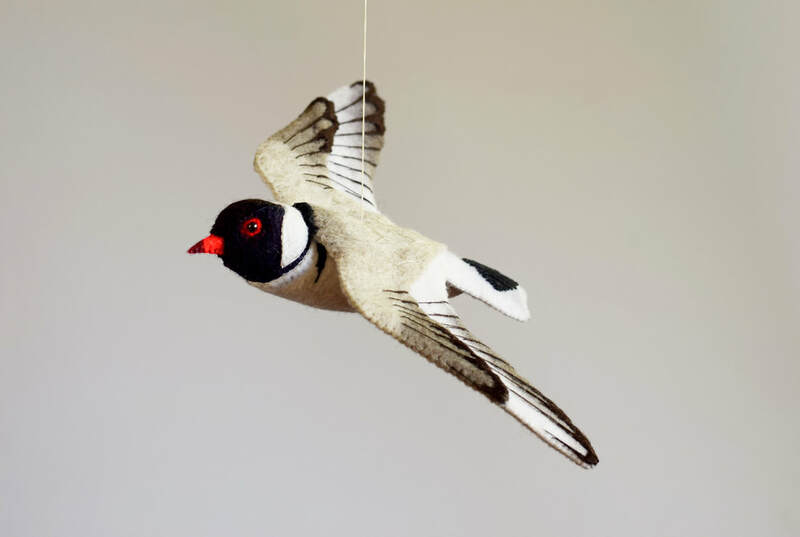 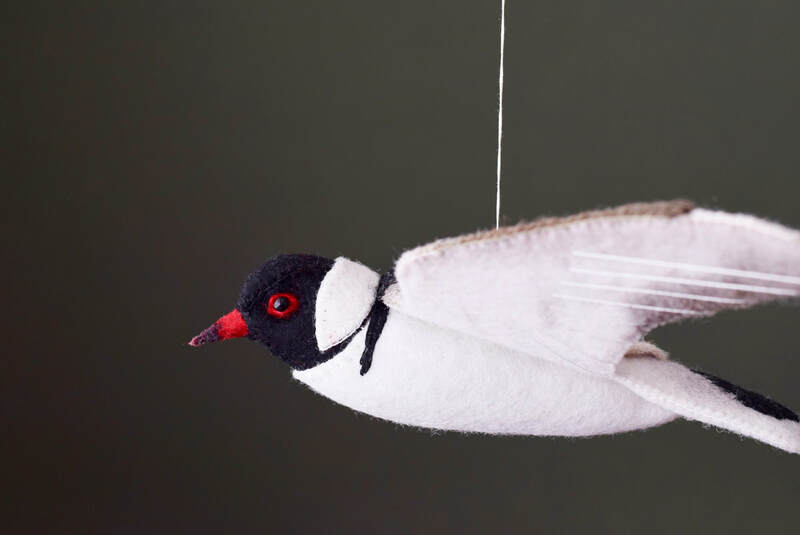 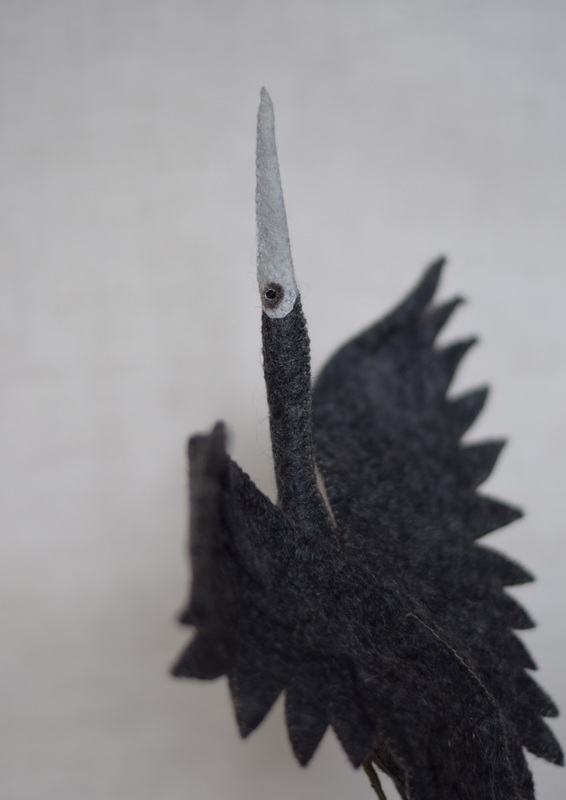 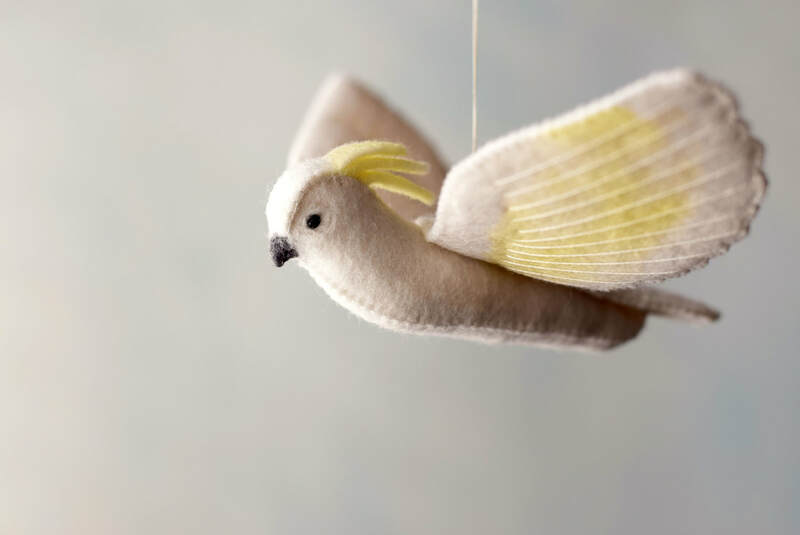 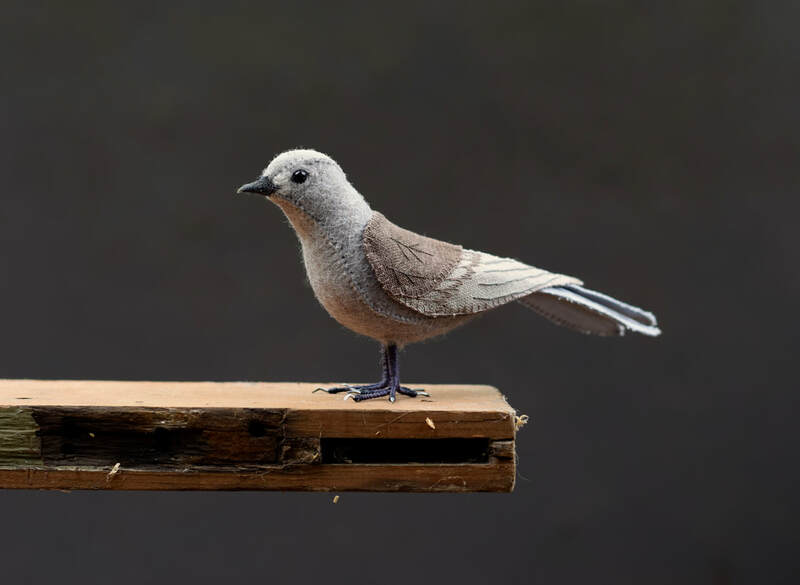 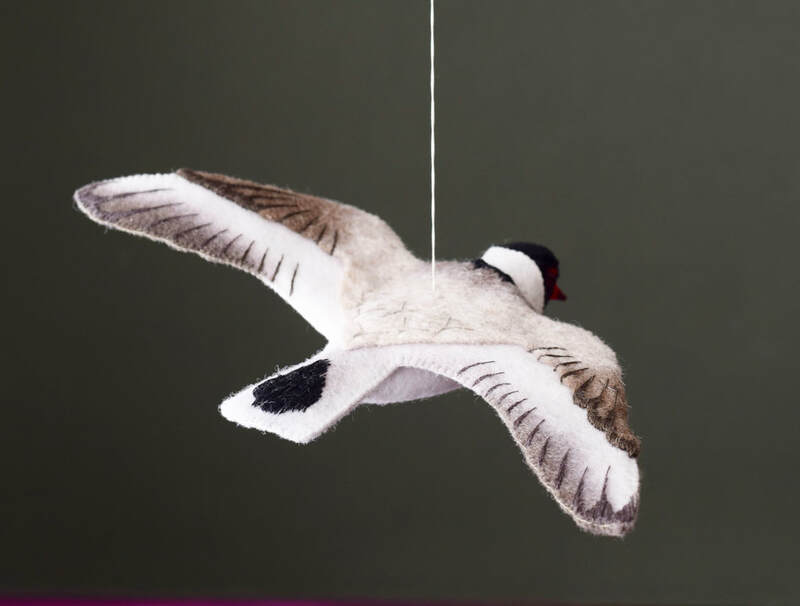 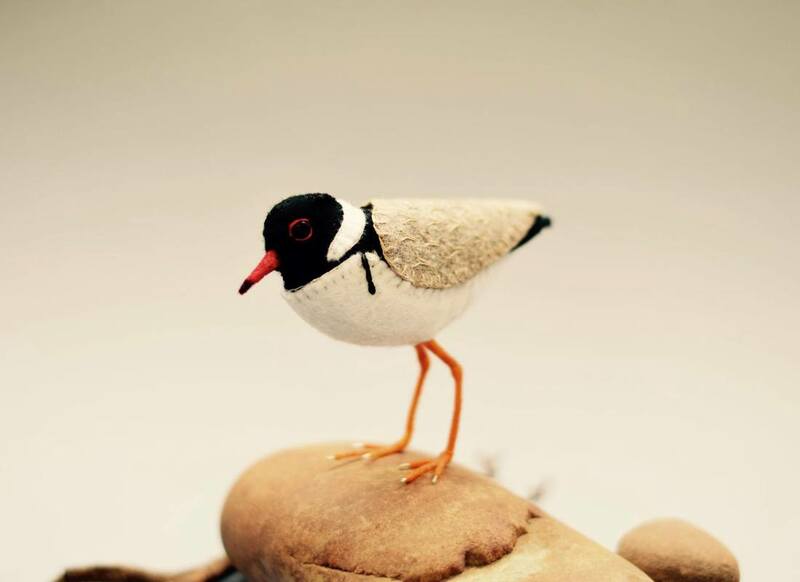 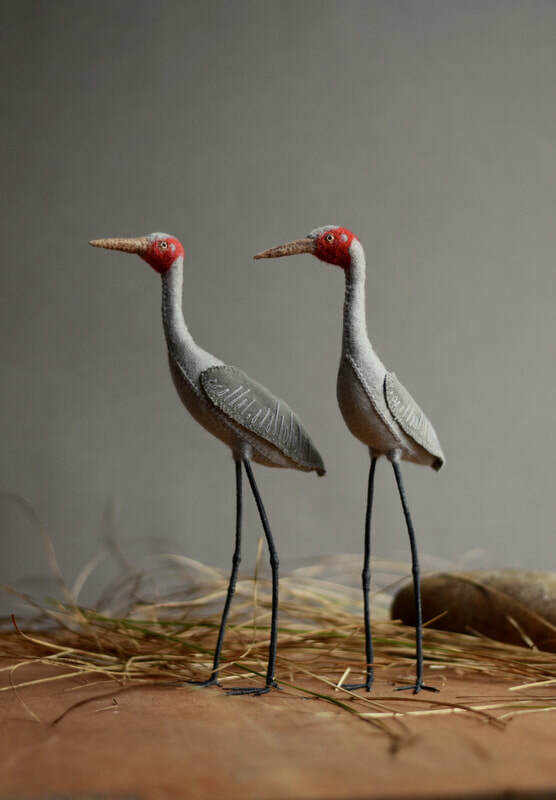 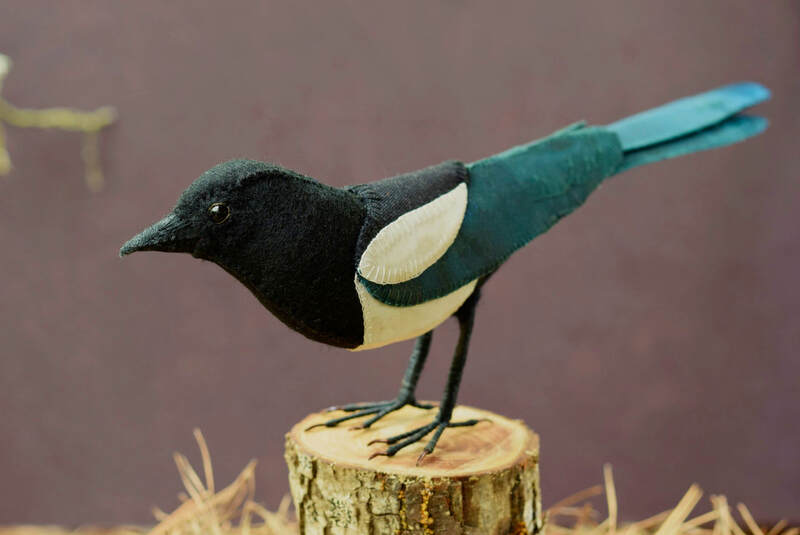 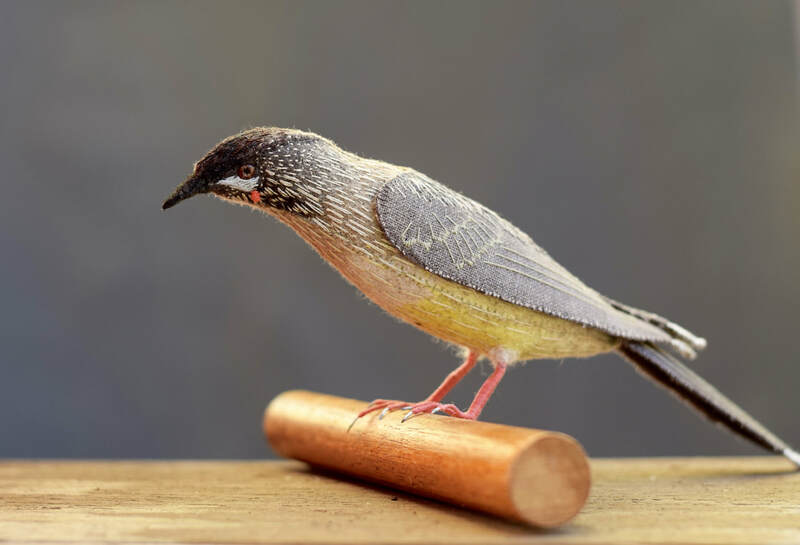 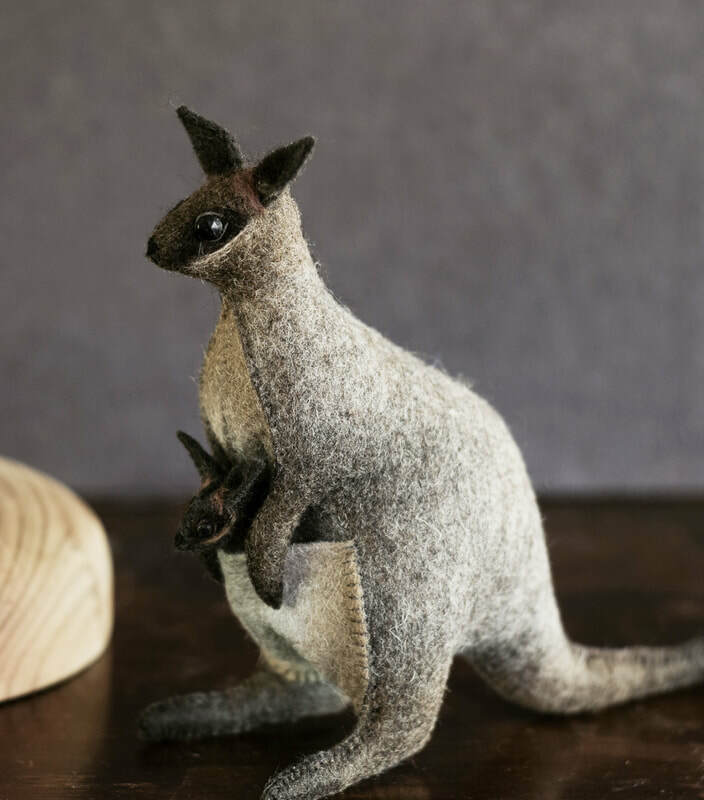 All of my art birds are designed using 100% pure wool textiles, wire and stone, so each one is completely natural and camouflage beautifully in a woodland home or landscape. 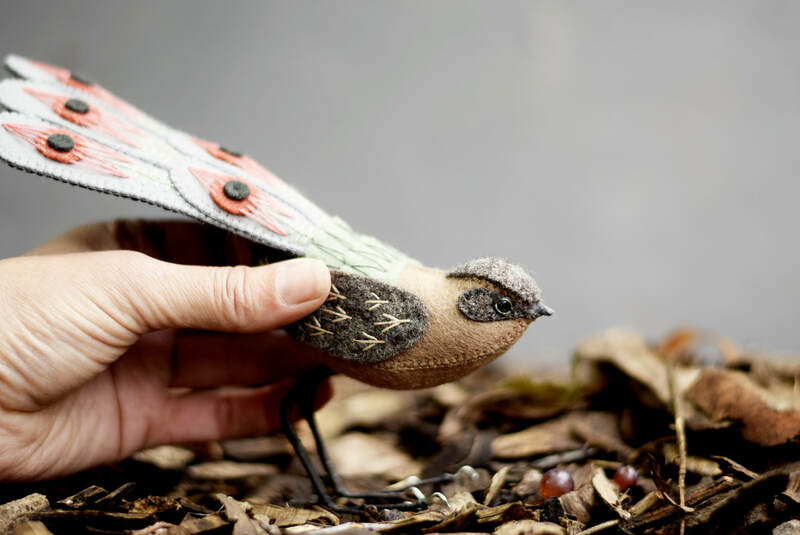 ​This particular art bird oozes enchanted rustic charm and makes a wonderful earthy centre piece in her forest tones of green and brown. 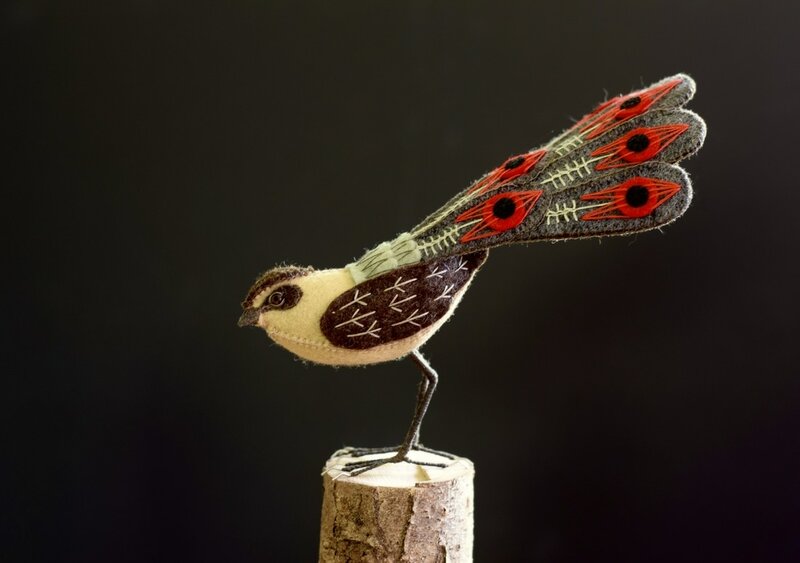 This is a folk art style bird that I decided to make using complimentary Christmas colours and natural fibres. 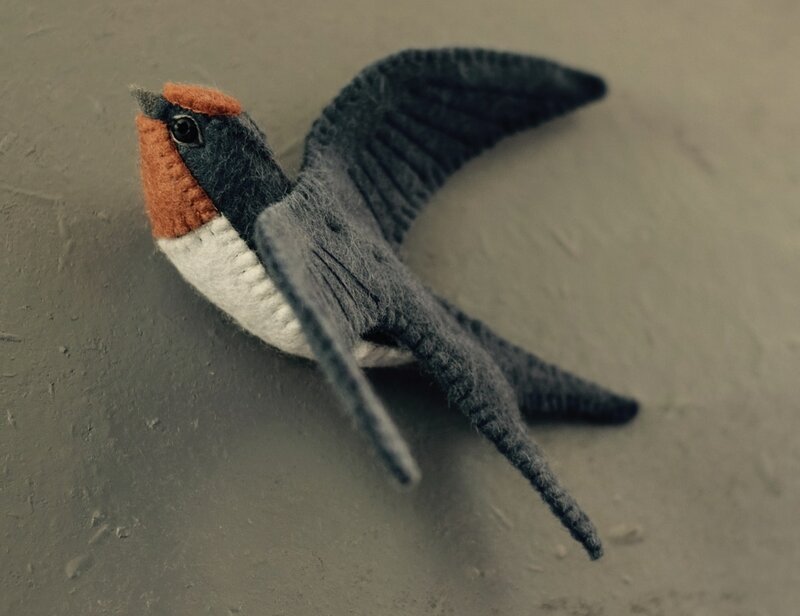 With such an over supply of plastic ornaments on the market, I was inspired to make one that would some day biodegrade and return to the earth where it belongs. 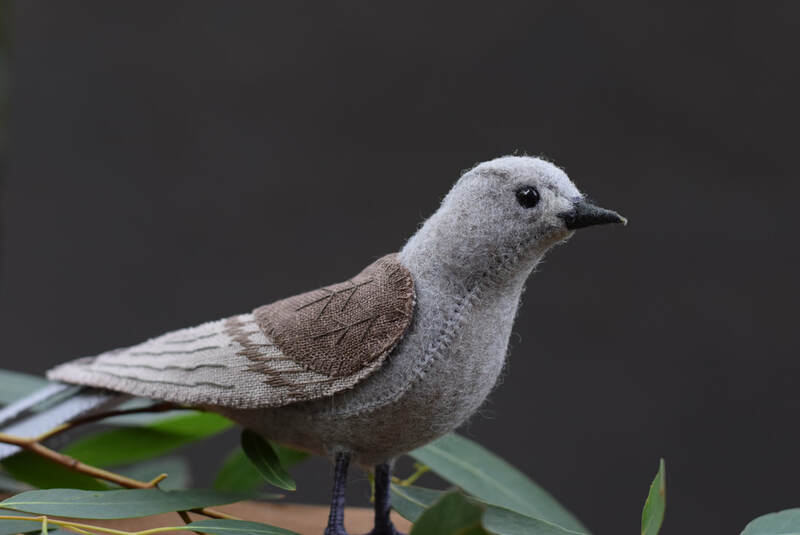 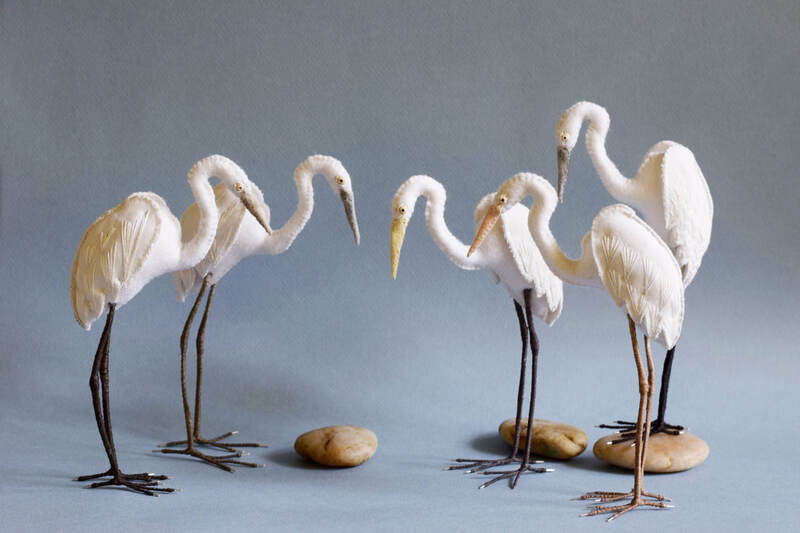 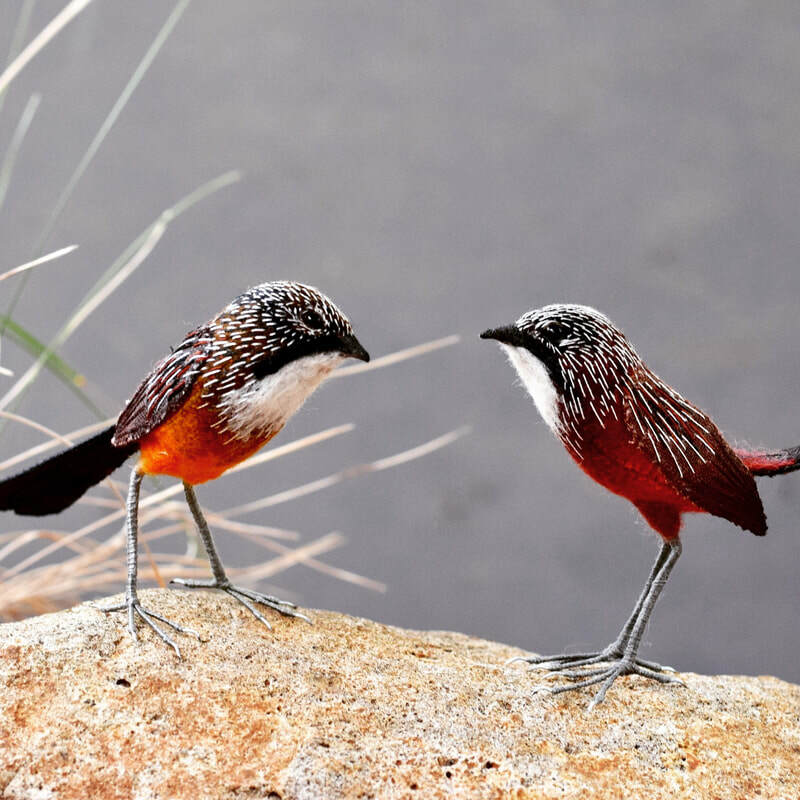 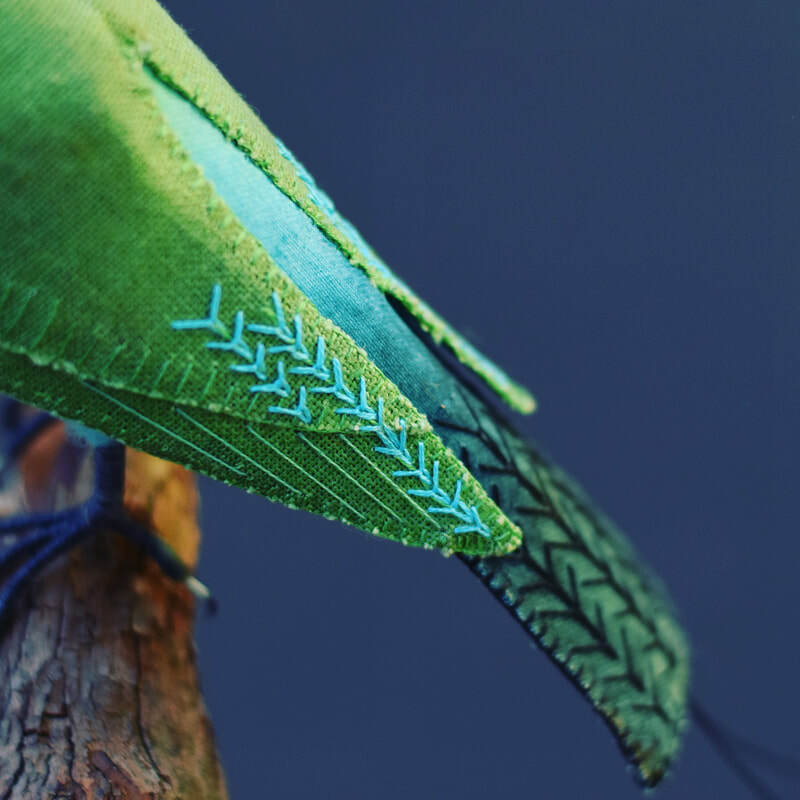 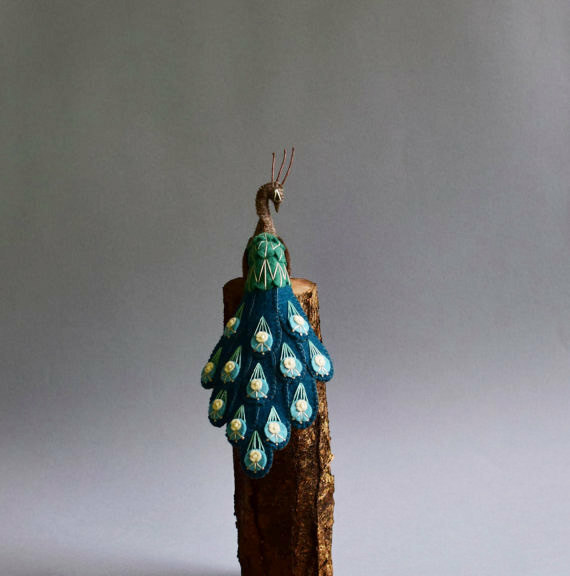 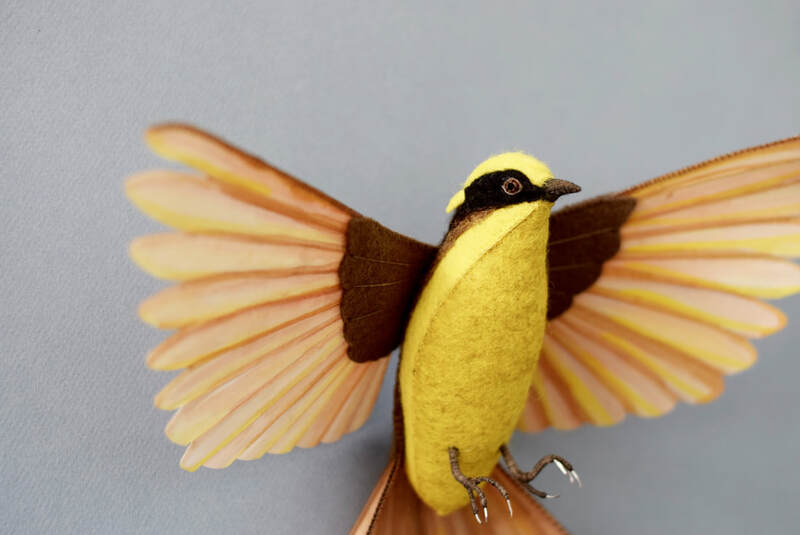 ​​I envisage that this bird totem textile sculpture be a reminder that we can have beautiful ornaments in our homes that compliment the planet. 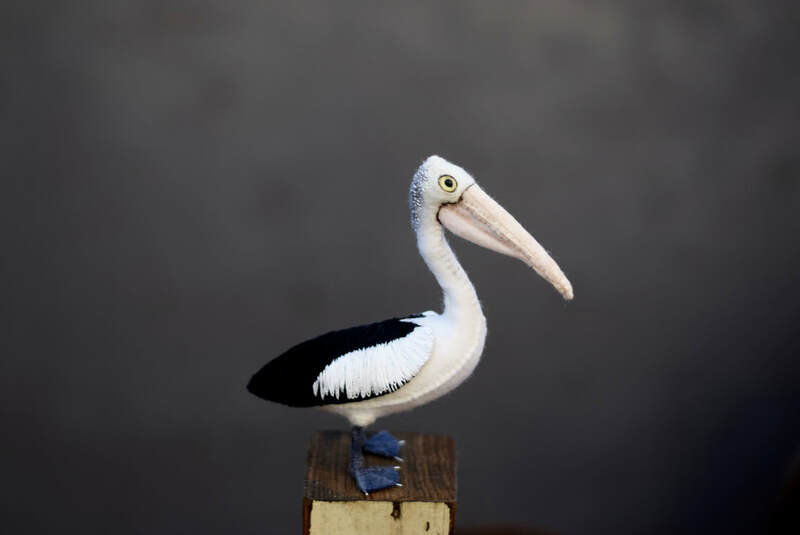 Though most of my felt art birds are based on my own bird fantasy, I was inspired to make this soft sculpture Toco Toucan in the style of faux taxidermy around the time that the Olympics were on in Brazil . To achieve the perfect balance I used stone, wood, wire and repurposed cotton rags that I wound up together to form a solid armature frame inside the hand embroidery wool body. 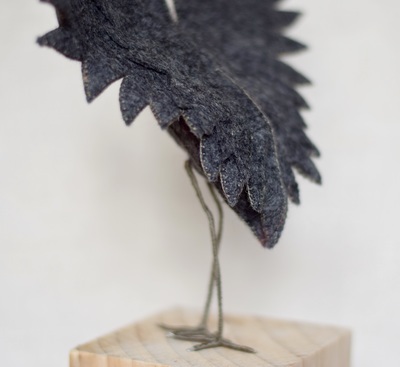 I'm happy with the outcome and happy that I chose to stitch the body using non conventional dark navy felt fibre instead of the black feathers seen in nature.